CANARSIE, Brooklyn (WABC) -- One man was killed in a double shooting at an intersection in Brooklyn Wednesday afternoon. The NYPD got a report of shots fired just before 3 p.m. on Paerdegat Second Street between East 80th Street and Paerdegat Avenue North in the Canarsie section. While officers were responding, they found the two men blocks away at the intersection of East 80th Street and Farragut Road. The two men were inside a white BMW. Officials said the 21-year-old driver was shot at least once. He was taken to the hospital, where he was pronounced dead. 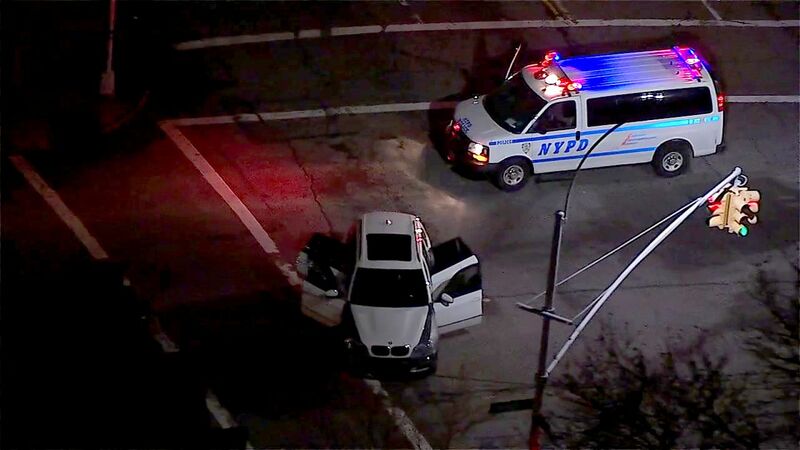 A 20-year-old passenger in the BMW was shot in the thigh. He was taken to the hospital and is listed in stable condition.